Mack was the oldest son, fourth child of Ulrich Armstrong Watlington and Jennie Sophronia Hammond, grandson of Mack Rob and Eula Daniel W. and Orson Ward and Mary E. Jameson Hammond, all of Madison Co., Tenn. He died Jan. 27, 1976, 9 P.M. in Jackson-Madison County General Hospital after a massive cerebral hemorrhage. Nearly eight years previously he had suffered a similar but slight stroke that left him partially debilitated during his last years, but able to continue active work with Watlington Bros. General Contractors, of which he was co-founder and Vice President. Some weeks following his birth the family moved to the Seth Sorrell farm near the Forked Deer River in Dyer County where Ulrich A. share-cropped in 1912. At the end of 1912 Ulrich A. and the young family returned to Madison Co. and lived with the Hammonds while building a small house on the farm for the family. They moved into the new frame house in the year 1913 and lived there until 1930, working the Hammond farm and renting adjoining land for sharecropping. Here Mack grew to manhood, attending Malesus Methodist Church and public school and helping his father and grandparents on the family dairy and general agriculture farm. After finishing the tenth grade at Malesus, Mack was asked to stay out of school for one year and help full-time with the growing family. He was to alternate years with the next son according to one version, but Mack stayed out of school to help keep the others in school. He worked as dairyman, gardener, auto mechanic, blacksmith and forestry nurseryman. During the Depression years he joined the Civilian Conservation Corps under agreement to be a foreman in the large nursery of the Camp ``Pat Harrison'' north of Jackson, Tennessee, a job which he excelled in and where he served for many years. In his last year or so with them he was paid by the Soil Conservation Service of the Federal Government. As the war approached Mack worked in carpentry construction in Kentucky, Tennessee, Alabama, and Florida. In Florida and Dover, Alabama, Mack worked in company with his brothers Paul and Sam, who later formed a part of the Watlington Bros. enterprise in Jackson. 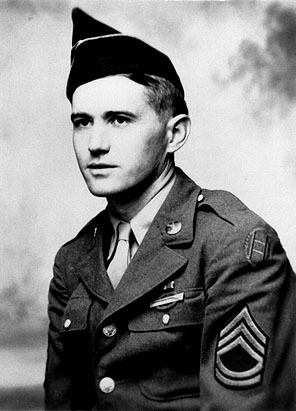 Mack was one of the first of eight sons to enter military service in World War II. He was assigned first to a Barrage Balloon Battalion and trained at Paris, Tenn., then served at Ft. Eustis, Virginia, on the Atlantic coast and later at Santa Monica, California on the Pacific. He was then transferred to a military police training battalion at Ft. Custer, Battle Creek, Michigan. After severe training in very hard winter conditions he shipped with his outfit to England and then to France to be assigned to General George Patton's Third Army before it penetrated into Germany. Mack saw lots of action in the last months of the war in Europe. Then his unit was sent by train to southern France from whence he was embarked via the Panama Canal and the Hawaiian Islands for Okinawa where he was stationed at the time of the Okinawa typhoon in Oct. 1945. In Okinawa his brother Sam was able to locate him. 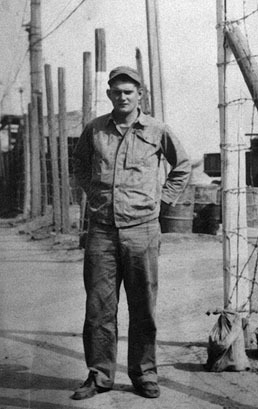 Sam was reassigned to an Engineers Battalion who later went on to Seoul Korea. Mack was repatriated from Okinawa to the States and was discharged honorably as a staff Sergeant at Ft. Chaffee, Arkansas in 1946. He knew what he wanted when he got home. In Memphis he went to his brother Herman's home and asked for Golden Azbill. He was soon in touch with her as she worked in Memphis and he soon convinced her that he wanted to marry and settle down. They married April 14, 1946 and made their home on the family farm while he returned to carpentry work. One of his first tasks was to start building a home nearby which was built little by little over the next ten years. In 1947 he formed a partnership with his brother Samuel and began contracting on any and all kinds of jobs to keep a crew working. In many cases the crew consisted of Sam, Mack and a helper. ``Watlington Bros.'' began in the Spring of 1947, after Sam and Mack both had worked some months for other contractors and had renewed contacts with former friends in the building business. They tackled all sorts of repair work, roofing, and even moved an old home in Lexington with very primitive tools because it offered work for them and a crew for a few weeks. Doug Rivers, Sam's brother-in-law, had some experience in this and helped them. Mack had purchased an old Dodge touring car after coming home. It must have been a 1930-33 model and Golden learned to drive it. Cars and tools were hard to find and expensive to buy. Neither Sam nor Mack had a single power tool when they formed their partnership. Sam and Mary had a 1941 Chevrolet sedan which they had held on to through the war years. Both had basic carpentry tools but Papa found them borrowing everything on the farm at one time or other--including the forge of the simple blacksmith shop. Mack and Golden took their place at the Malesus Methodist Church. Golden had been a member of the large Bellevue Baptist Church in Memphis. They became interested in church and community and Mack later took a very active part in the Boys Scout activities, earning a Silver Beaver Award in later years for his faithful support of Scouting in West Tennessee. His and Golden's contribution to the local church was recognized following his death by giving his name to the new fellowship hall of the church. He was buried in Ebenezer Cemetery of Malesus community near his parents. [S352] Elton and Janice Watlington, Watlington, Page 273. [S182] Social Security Death Index (on-line), Ancestry.com, SSDI, Ancestry.com, SSAN 353-05-7813. Joe Conrad, 65, died peacefully at his home by Bledsoe Creek in Sumner Co., Tenn., on the morning of his 65th birthday. He and Linda had purchased the new house and moved in during October, 1982 at the time of their marriage. Since Sept. 1987, Joe had wrestled with the Death Angel and had held on tenaciously and ever with considerable wit and wisdom. But these last seven months had been very discouraging and he had gotten extremely weak, with repeated visits to the hospital, and good nursing care at home. 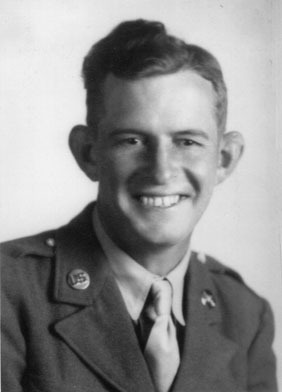 Joe served a short term with the U.S. Marines in 1945-46. After training at Parris Island, S.C., he soon was aboard ship for the Orient where he and his unit was to help disarm and repatriate the Japanese Army in China. Based at Tientsin, the Marines were to receive and destroy as much Japanese war material as possible to prevent the arms falling into the hands of the Red Chinese Army. After those months Joe returned to Jackson, Tenn. and began plans for a family and a career in teaching. He went to Lambuth College to prepare for a science teaching career and began courting a neighbor's daughter, Deloris Dorris. On May 9, 1947 they were married at a private ceremony in Corinth, Miss. and made their home in or near Jackson during the next three years. When he graduated from Lambuth College with honors, he found a job teaching and coaching at Crockett Mill High School, Crockett Co., Tenn.
Joe enjoyed basketball and teaching also. He continued studies at Memphis State University for a Master's Degree and some years later was awarded a National Science Scholarship to study at the University of Colorado at Boulder to better prepare for science instruction. He returned as a professor at Lambuth College, where he taught Chemistry and Physics. In 1971 he went to Nashville where he had an opportunity to pioneer in a high school course in astronomy at a new East Nashville High School. While working through that project the Volunteer State Community College opened up at nearby Gallatin, Tenn. and he was invited to teach Science there, and served 14 years before accepting medical retirement. Friends there have established a Science Scholarship Fund in his honor, and they invite us to contribute toward this fund also in his memory. Joe C. made friends wherever he went or worked. He had a genius for friendship and enjoyed life to its fullest. The difficult years since 1987 did not alter greatly his outlook on life or death; they only intensified his desire that those around him might also know Life and Health and Hope. He appreciated his family and found strength in it and gave strength to it. He refused to give bitterness or resentment a place in his life. The Social Security Death index shows his birth to be 11 July 1927. [S182] Social Security Death Index (on-line), Ancestry.com, SSDI, Ancestry.com, SSAN 415-44-6101. [S182] Social Security Death Index (on-line), Ancestry.com, SSDI, Ancestry.com, SSAN 412-03-3695. Richard Chappell was born say 1843. He was the son of Thomas Dickie Chappell and Mary A. Lockridge. Susan A. Chappell was born say 1845. She was the daughter of Thomas Dickie Chappell and Mary A. Lockridge. Frances Chappell was born say 1847. She was the daughter of Thomas Dickie Chappell and Mary A. Lockridge. Nimrod and Sallie were enumerated in the 1880 Wayne Co., TN, census. Nimrod 27, Sallie 19, Mary B. 2 and Masedonia 1. [S336] Ancestry.com, Ancestry World Tree Project: Joe Chappell. Mary V. Chappell was born say 1853. She was the daughter of Thomas Dickie Chappell and Mary A. Lockridge. Etta Chappell was born say 1855. She was the daughter of Thomas Dickie Chappell and Mary A. Lockridge.